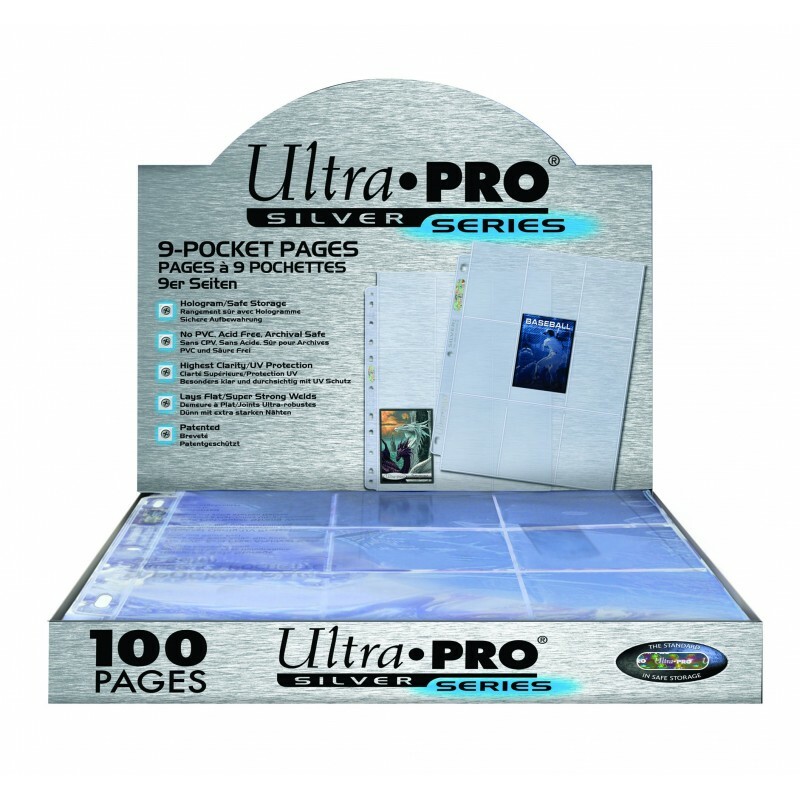 Ultra PRO Silver Series Pages in nine-pocket style. 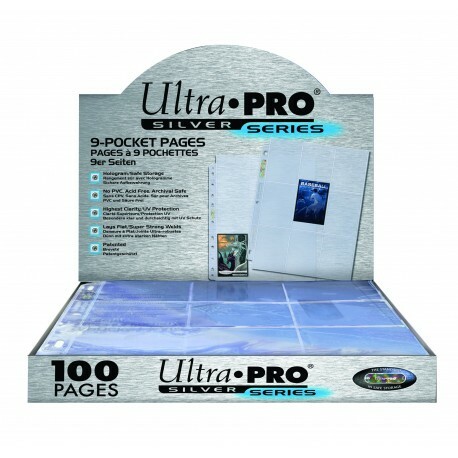 Archival quality pages that holds standard sized cards with 63.5 mm X 88.9 mm dimensions or smaller. Pages are clear on both sides with 11-hole punched on the spine for flexible binding.